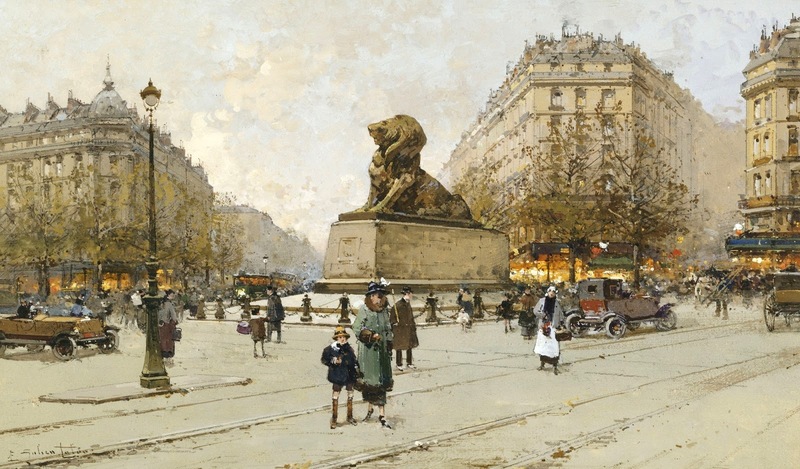 Eugène Galien-Laloue – Rehs Galleries. 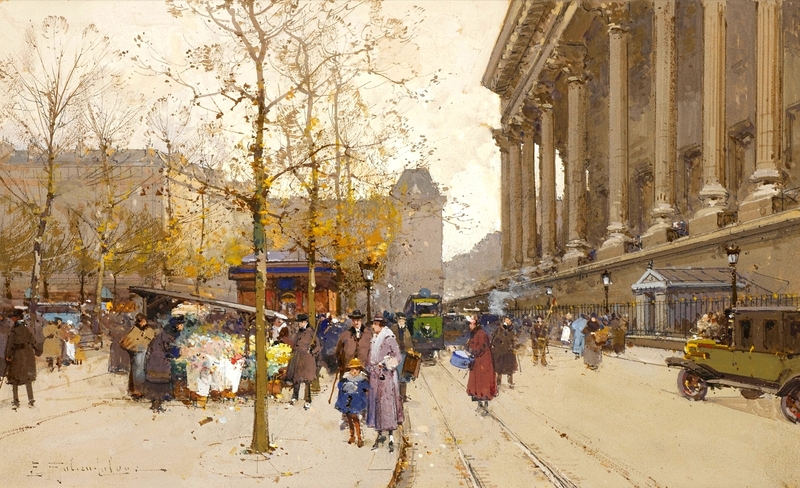 Title: Théâtre du Gymnase, boulevard de Bonne-Nouvelle. Date: 1920s? Materials: gouache. Dimensions: 19 x 31.1 cm. Source: https://www.flickr.com/photos/amber-tree/18631670331/sizes/l. 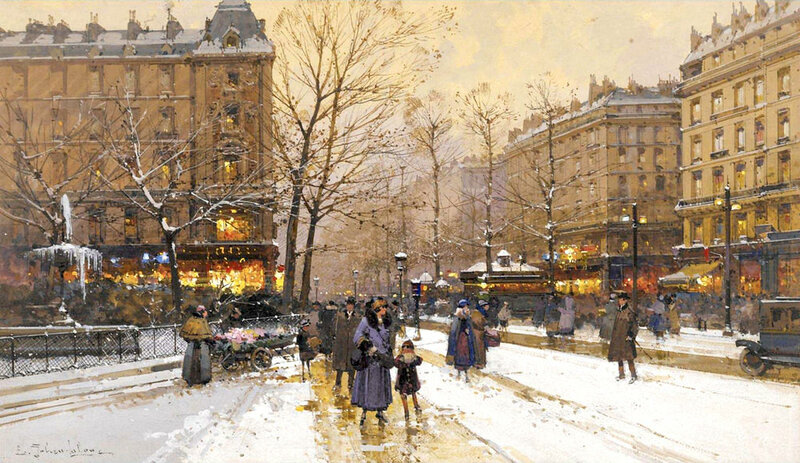 Eugène Galien-Laloue – private collection. 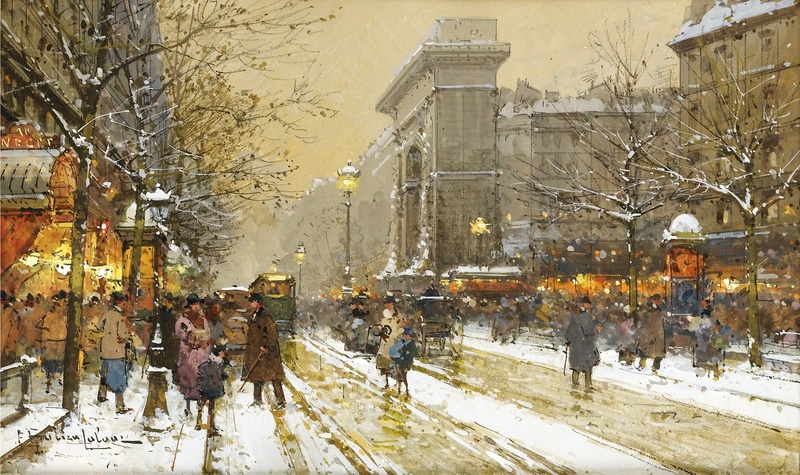 Title: Boulevard parisien, sous la neige. Date: c. 1920-1930. Materials: gouache. Dimensions: 27 x 45.7 cm. Source: https://www.flickr.com/photos/amber-tree/18443314249/in/album-72157654215199186/. I have changed the light and contrast of the original photo. 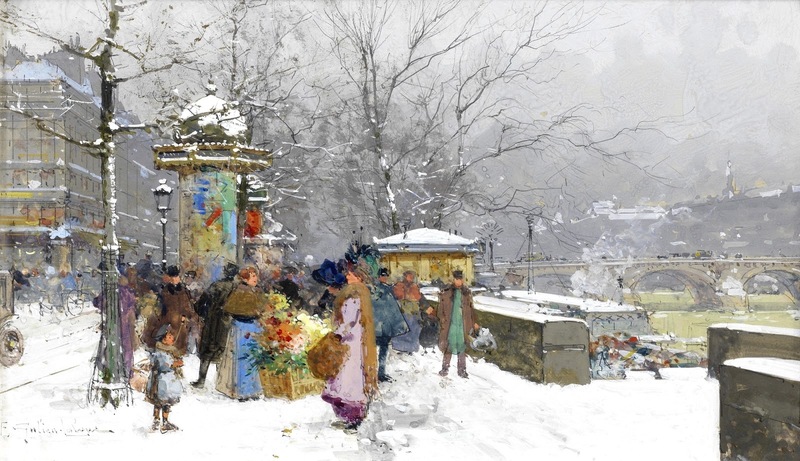 Eugène Galien-Laloue – private collection. Title: Bouquinistes. Quai du Louvre. Paris. Date: c. 1900-1910. Materials: gouache. Dimensions: 19.5 x 31 cm. Auctioned by Sotheby’s in London, on May 21, 2015. 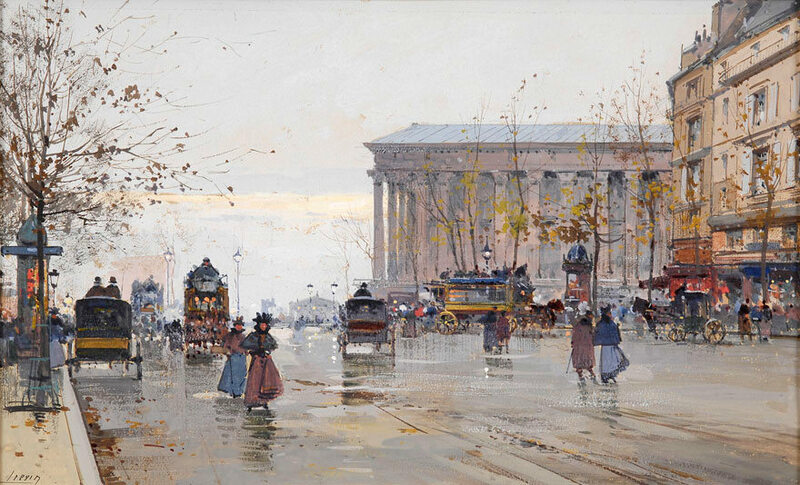 Source: http://www.sothebys.com/content/dam/stb/lots/L15/L15101/610L15101_85N8G_1.jpg. I have changed the light and contrast of the original photo. 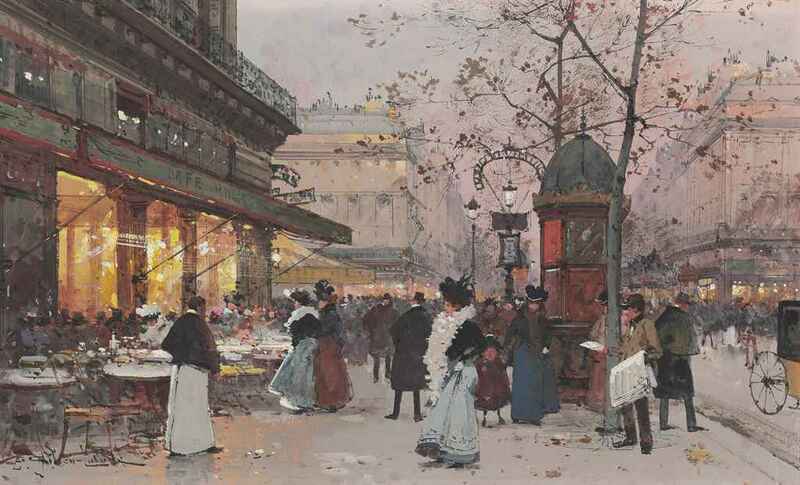 Eugène Galien-Laloue – private collection. 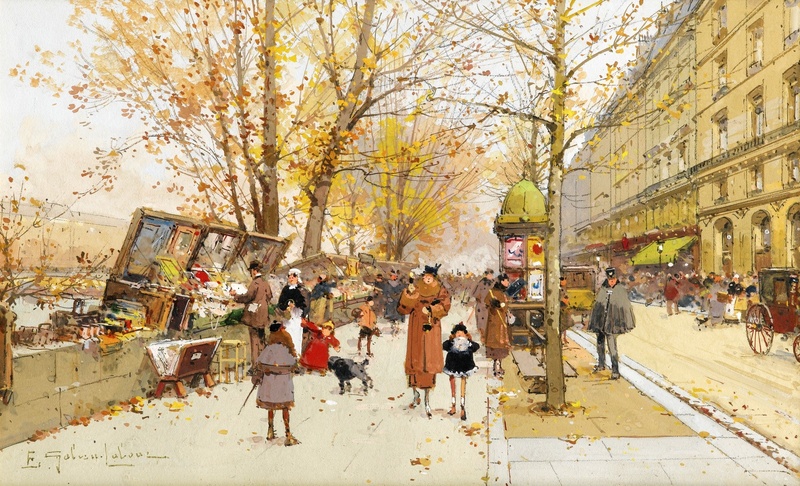 Title: Boulevard de Bonne Nouvelle à Paris près de la porte Saint Martin. Date: c. 1900-1910. Materials: goache, pen and pencil on paper. Dimensions: 18.5 x 31 cm. Sold by Sotheby’s in Paris, on November 5, 2014. Source: http://www.sothebys.com/content/dam/stb/lots/PF1/PF1431/175PF1431_7N8FG_1.jpg. I have changed the light and contrast of the original photo. Eugène Galien-Laloue – Düsseldorfer Auktionshaus Catalogue 01/2010, nr. 29. Title: Paris im Winter. Date: c. 1900-1910. Materials: gouache. Dimensions: 19 x 31 cm. Inscriptions: Lievin. Source: http://www.duesseldorfer-auktionshaus.de/media/big/5428-2.jpg. I have changed the light and contrast of the original photo. 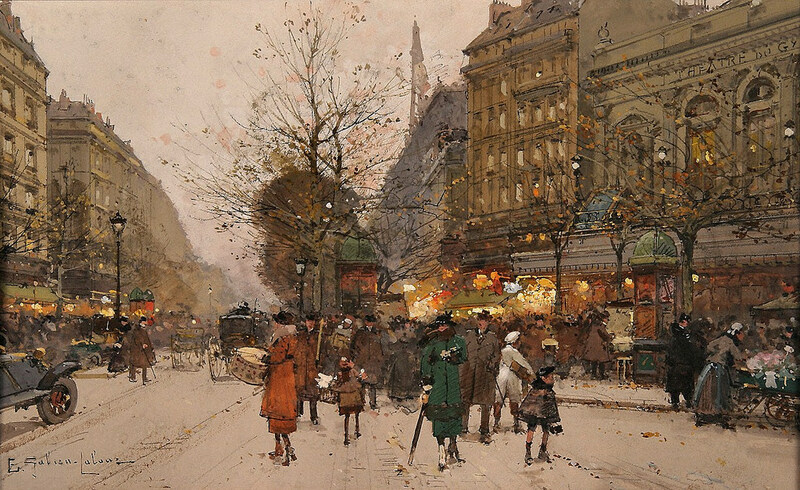 Eugène Galien-Laloue – private collection. 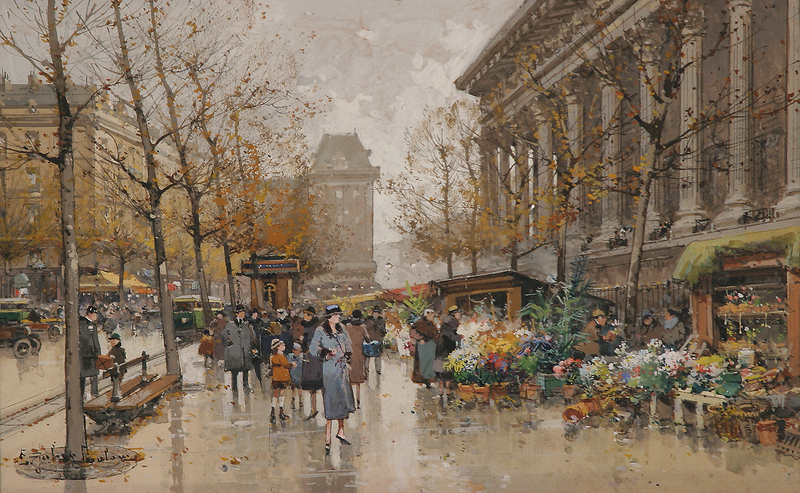 Title: La Madeleine. Date: c. 1910s-1920s. Materials: gouache. Dimensions: 19.5 x 31.5 cm. Auctioned by Bonhams in New York, on May 4, 2016. Source: https://1.bp.blogspot.com/-owXUFPvstnQ/VzuYiV8NssI/AAAAAAAA_pA/fEeCQ7P0jEEgd7-HNzETCCybQ5eKIKcvwCLcB/s1600/%25D0%259B%25D0%25B0%2B%25D0%259C%25D0%25B0%25D0%25B4%25D0%25BB%25D0%25B5%25D0%25BD%2B%2528La%2BMadeleine%2529_19.5%2B%25D1%2585%2B31.5_%25D0%25B1%25D1%2583%25D0%25BC%25D0%25B0%25D0%25B3%25D0%25B0%2B%25D0%25BD%25D0%25B0%2B%25D0%25BA%25D0%25B0%25D1%2580%25D1%2582%25D0%25BE%25D0%25BD%25D0%25B5%252C%2B%25D0%25B3%25D1%2583%25D0%25B0%25D1%2588%25D1%258C%2B%25D0%25B8%2B%25D0%25B0%25D0%25BA%25D0%25B2%25D0%25B0%25D1%2580%25D0%25B5%25D0%25BB%25D1%258C_%25D0%25A7%25D0%25B0%25D1%2581%25D1%2582%25D0%25BD%25D0%25BE%25D0%25B5%2B%25D1%2581%25D0%25BE%25D0%25B1%25D1%2580%25D0%25B0%25D0%25BD%25D0%25B8%25D0%25B5.jpg. I have changed the light and contrast of the original photo.